I updated my tech bench with 4 shelves and 32 outlets! In the past I stacked my tech gear like it was in a Dr. Seuss book and I shared 1 outlet for all my gear. I finally got sick of the mess and inconvenience. This video is showing my wiring install and shelving choices. I do cover reasons I picked curtain solutions and at the end is a tour of all my tech gear. Below, behind me in the photo, is what my tech bench looked like in the past. What a mess! Very difficult to use or power anything. 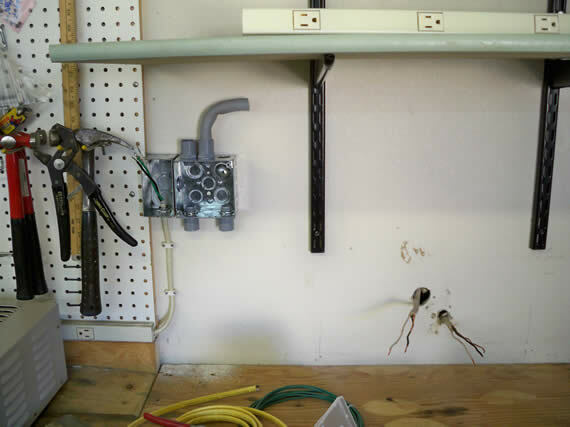 The starting point of the video was when the shelf brackets were installed and so were 2 of the 3 junction boxes. 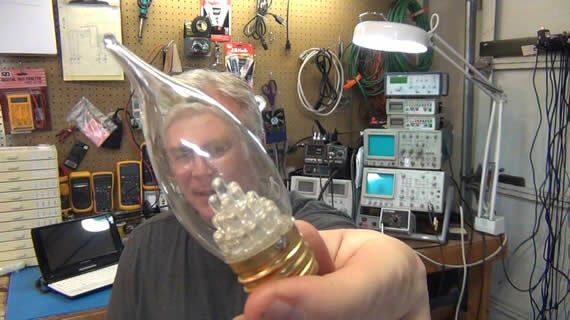 My wife bought a candelabra LED style bulb to test in one of our chandeliers. We had hoped to drop from using 40 watt incandescent to 2 watt LED bulbs. That would be a saving of 228 watts in one chandelier and throughout our house the swap would have a total savings of 570 watts. Not a bad idea but the one we bought to test died in less than 2 weeks. It might have only been one week even. 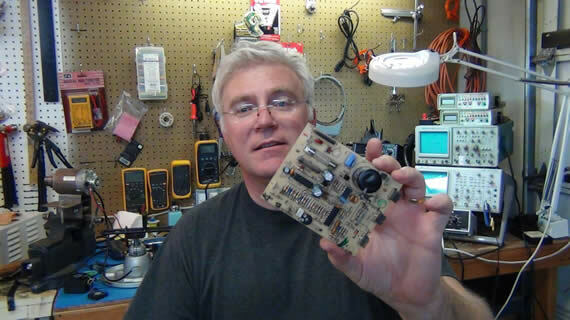 What better way to dissect electronics than with a hammer. “I got me’amer” – Photonic Induction. 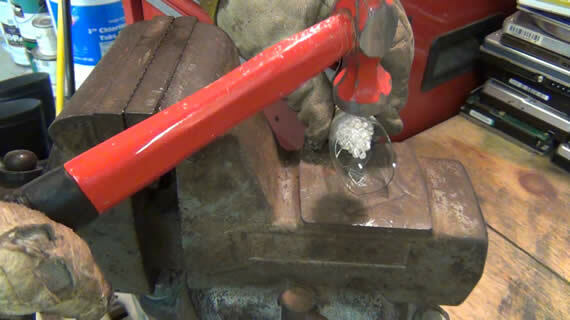 It hammered apart quite nicely without any damage to the innards. SARC ham radio club tower in Mesa AZ. This is footage of the (SARC) Superstition Amateur Radio Club’s tower in Mesa, AZ. Our ham radio club has used this tower and antenna for many years but it is now in need of repairs. The club wanted some footage to help plan the repairs. The buzzing in the shack is an over voltage alarm which will be fixed with the repairs along with a new antenna. Comments Off on SARC ham radio club tower in Mesa AZ. You are currently browsing the ToddFun.com blog archives for March, 2012.